BronyCon: Where Were You 25 Years Ago? 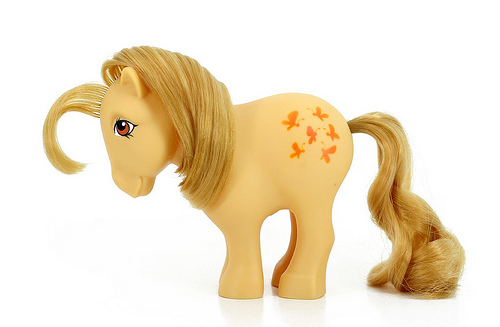 When I was three or four years old, in the mid ’80s, I fell in love with My Little Pony. I begged my parents for the little plastic figurines, but they were reluctant to indulge my overtly girly interest. Being a boy, there were clear, acceptable expectations for my play habits: Batman and Transformers yes, ponies no. I can imagine my parents worried thoughts about how my subversive pony phase would play out through the rest of my life: would other kids make fun of me? Would that make me unhappy? Would I turn to drugs to compensate? Would that ruin my chances at university? Would that mean I would be living with them until I was forty?